It was ‘mission accomplished’ for England in their Six Nations opener against Italy on Sunday… so who better to celebrate with than James Bond himself? 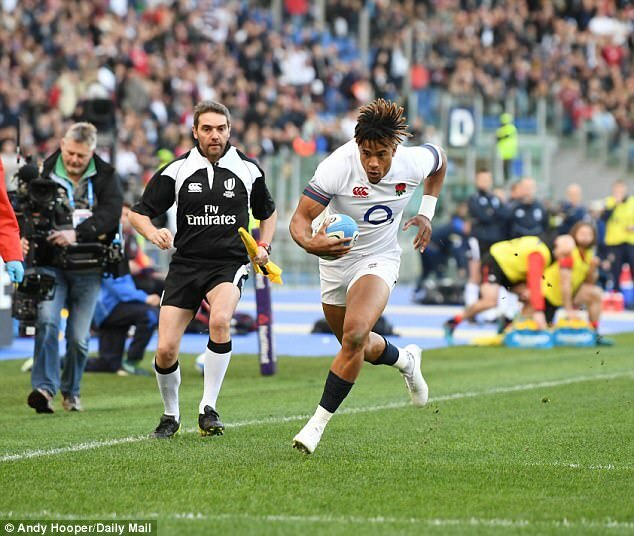 Eddie Jones’ side opened their tournament account with a 46-15 rout at the Stadio Olimpico, and there were some very famous faces there to celebrate with the team. One of which was Daniel Craig – most known for his portrayal of spy James Bond – and the English actor popped into the dressing room after the match. Some of the players were quick to post their snaps on social media, with perhaps the most popular one coming from Jonathan Joseph. The England centre and team-mate Jack Nowell were just in their underwear for the smiley snap, as Mako Vunipola and Dylan Hartley bombed the photo in the background. Craig was dressed smartly for the game, likely due to his seats in an executive box at the stadium, with a tie to accompany his double denim. He would have liked what he saw from his country on the pitch too, as they romped to victory with seven tries in Rome. Anthony Watson and Sam Simmonds scored two apiece, while Owen Farrell, George Ford and Nowell touched down the others. 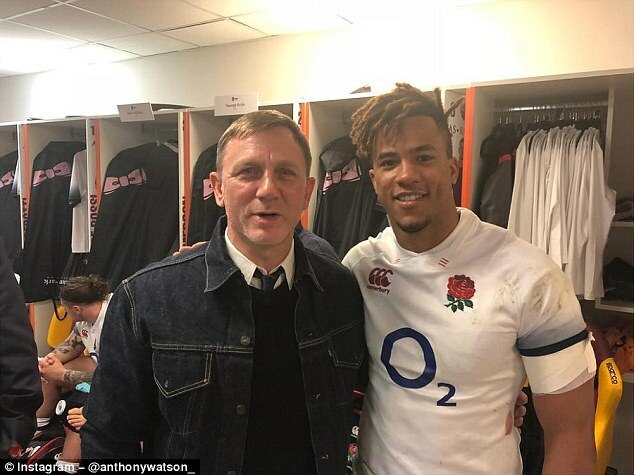 Try-scorer Watson, one of England’s finest performers, was another who posted a picture with James Bond, alongside the caption ‘Double 0 Denzel’ on Instagram.